Arrival in Lisbon and private transfer to the hotel. Overnight in Lisbon. Breakfast at the hotel. Departure on a full day tour of Lisbon, exploring the Jewish legacy in the Portuguese capital. 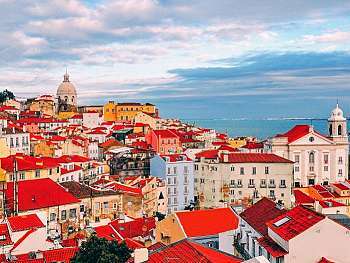 It is known that until 1496 there were three Jewish Quarters in Lisbon. Besides strolling through Alfama, we will visit the church of São Domingos in Rossio, in Largo de S.Domingos, where the Jewish Massacre of Lisbon took place in 1506. 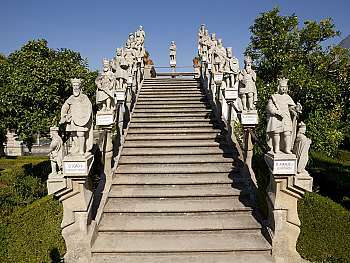 In the afternoon, we leave towards the district of Belém, where the monuments alluding to the time of the Maritime Discoveries in the 15th and 16th centuries were built. Free time for lunch. We will stop at the Belém Tower (classified as World Heritage site by UNESCO), the 15th century fortress and departure point of caravels, and at the Discoveries Monument to mark the 500th anniversary of the death of Henry the Navigator. We will then visit the Monastery of Jeronimos (classified as World Heritage site by UNESCO), a masterpiece of Manueline architecture. Return to the hotel. Overnight in Lisbon. Breakfast at the hotel and checkout. We set off for Tomar to visit the Synagogue and Luso-Hebrew Museum of Abraham Zacuto. A very rare example of a medieval Jewish temple and of pre-Renaissance Portuguese art. The Tomar Synagogue is the only one of its kind from this period to have been fully preserved in Portugal. Before leaving, it is suggested that you visit the Templar Castle and the Convent of Christ in Tomar, unique monuments in the history of the western world, awarded the classification of World Heritage site by UNESCO. 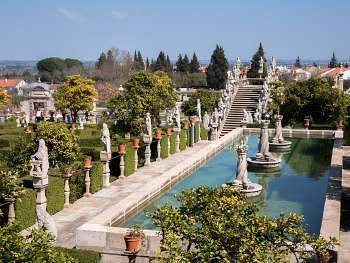 Built on a site that was originally used for Roman worship, this vast monumental complex illustrates seven centuries of Portugal's history and contains several important momentos of decisive moments in the history of the western world. Free time for lunch. Departure for Porto at the hotel. Overnight in Porto. Breakfast at the hotel. 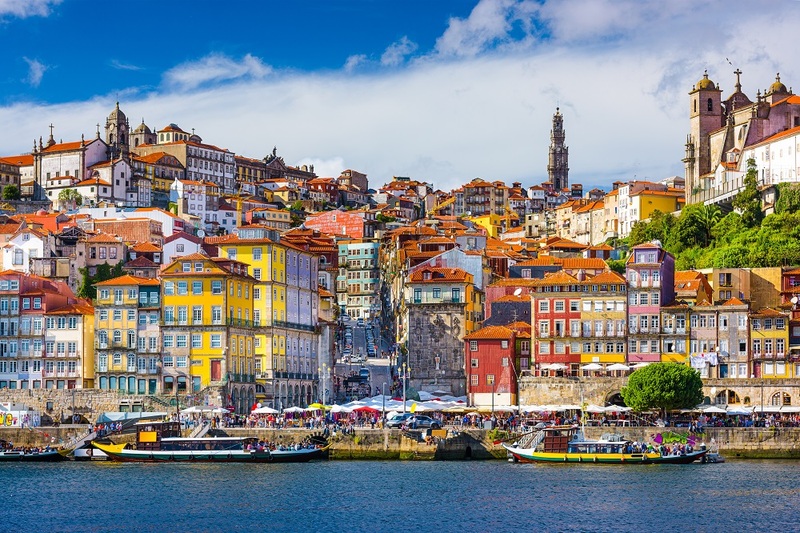 Discover Jewish Porto and walk along the streets where a community was born and developed, a community that is supposed to have appeared just before the foundation of Portugal. 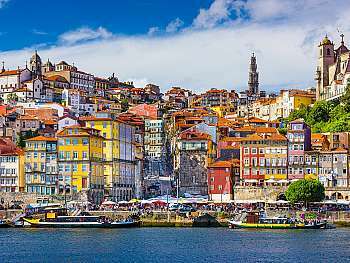 The Jewish quarter of the city was situated deep in the heart of the village which in the 12th century was located near the Cathedral in the area that is today defined by the ruins of the Convent of Monchique, by the Torre dos Clérigos, Sé, Alfândega do Porto and the square and tunnel of Ribeira – and where some Jewish altars still survive in private estates. Walk towards the area of Palácio da Bolsa and the old Mercado Ferreira Borges. This is where another Jewish quarter once stood with a synagogue in its center in what is today known as Rua do Comercio do Porto. In the Boavista area, the hub of Jewish life in the 17th and 18th centuries, visitors can see the Kadoorie synagogue, the largest synagogue in the Iberian Peninsula Jewish temple built between 1929 and 1937. In the afternoon, you will take a 50-minutes relaxing cruise on the Douro before heading back to the hotel. Overnight in Porto. Belmonte which is, perhaps the Portuguese town with the strongest Jewish presence and it stands out because it was a unique case, within the Iberian Peninsula, where Hebrew culture and tradition have lasted since the early 16th century until today. We will visit the Jewish Museum, the first museum that portrays the History of Jewish people in Portugal, as well as its integration in the society and the decisive role it played in Portuguese culture, art, literature and trade. We will end the day in Ávila, the mark of identity is its complete medieval wall of Romanesque style also emphasizing other representative constructions like the cathedral of the Savior - whose cimorro is mounted on the wall - or the Basilica of San Vicente. It has traditionally been considered a "city of songs and saints" and its medieval historic center, in excellent condition, was declared a World Heritage Site in 1985. Checkin at the hotel. Overnight in Avila. Breakfast at the hotel and checkout. Departure to Madrid. On arrival in the capital of Spain, enjoy a sightseeing tour of Madrid. Checkin at the hotel. Overnight in Madrid. After Breakfast, this day is devoted to Toledo, perched high on a hill by the Tagus River. With its naturally fortified location, Toledo was once the true center of Spain, and is widely considered a “pearl” in terms of its subtle beauty. This city was also the center for Jewish Spain, with a rich, creative heritage. You will feel this atmosphere as you stroll the narrow alleys in its historic section. Your tour will include El Greco’s house, formerly the palace of the prominent Samuel Halevy (treasurer of King Pedro I, and architect of the El Transito Synagogue). 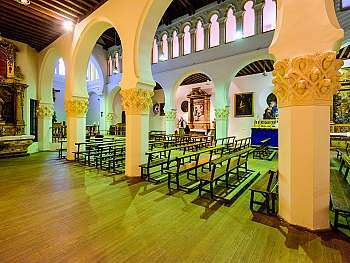 Continue to Synagogue de Santa Maria La Blanca, later converted to a church, and to the Synagogue del Transito, which today houses the Sephardic Museum. Return to Madrid in the afternoon and enjoy time at leisure. Overnight in Madrid. After breakfast take a full day excursion to Avila and Segovia. In Segovia, you will sense history as you tour the historic part of the town including the Aqueduct and the Jewish Quarter. Though only few remaining traces tell the story of a glorious past, Segovia stills stands as a remarkable testimony to its past. Return to Madrid in the afternoon. Overnight in Madrid. After breakfast, this morning check out from the hotel and transfer by coach to Cordoba, the former home of many Jewish scholars and poets. 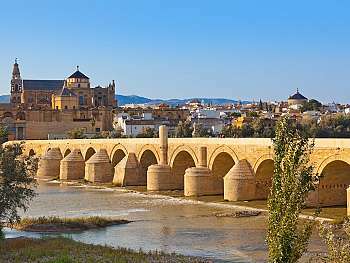 Once the biggest city in all of Europe, Cordoba thrived and expanded with its unique blend of cultures. These are beautifully expressed with a visit to the Mezquita, the most significant Muslim architectural achievement in the Western world. Walk the street leading up to the Juderia with its whitewashed houses and colorful courtyards and shops. Though not Jewish in its current expression, a few signs hint of the Golden Age. Note for example the tiny gem-like Synagogue as well as the statue of the great court doctor and Torah sage, Maimonides (Rabbi Moshe Ben Maimon). Overnight in Cordoba. 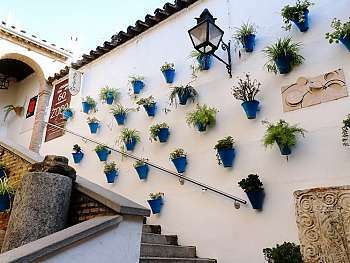 After breakfast enjoy a day at leisure or explore Cordoba on your own. Enjoy a walking tour of the picturesque town. Later return to Cordoba in the late afternoon. Overnight in Cordoba. Following breakfast this morning we leave for Granada. On arrival visit one of the Wonders of the World, the Moorish Palace of Alhambra and the Generalife. Located on a hilltop with the Sierra Nevada as background, Alhambra’s exquisite design and layout has few rivals. You will be filled with a sense of mystique as you are guided past graceful courtyards, splashing fountains and lavish rooms. In the afternoon, check in for your flight to Barcelona. On arrival transfer to the hotel in Barcelona. Overnight in Barcelona. After breakfast sightseeing in the most exciting city Spain can offer – Barcelona, capital of the Catalonian province. Begin with a visit to one of Spain’s landmarks, the incomplete architectural masterpiece of Antonio Gaudi, known as the Sagrada Familia (Sacred Family). Next continue on a walking tour through the centuries-old streets and alleys of the Gothic Quarter of Barcelona. 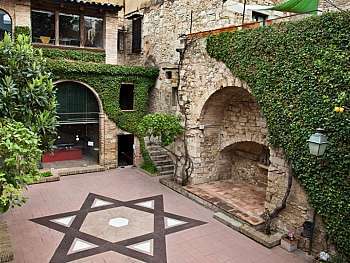 You tour will include an introduction to this former Jewish area in Barcelona. Visit the oldest Synagogue which has recently been restored. Remainder of the day at leisure. Overnight in Barcelona. After breakfast drive northward to visit Girona, which stands today not only as a charming example of Spain’s quaint early- Medieval ambience but also as a reminder of the days when Jewish traditions bloomed. Girona was once a link between the first Kabbalists of Provence and the poets and writers of Cordoba and Toledo — also major Kabbalah Centers. Jewish settlers came to Girona at the end of the 9th century, growing and prospering until the Spanish Inquisition forced them into exile in 1492 – a span of 600 years! Walking through the “Call” (Jewish Quarter) still evokes this precious Jewish culture, an important part of the Golden Age of Spain. You will sense the spirit of our ancestors which has never vanished. 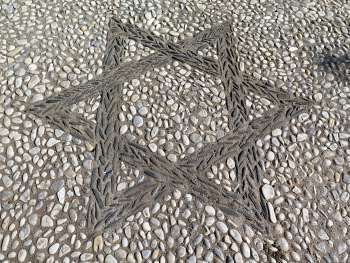 Visit the Archeological and Jewish Museums during your tour. After lunch continue to Besalu, to see the remains of the pre- Inquisition Mikveh. Return to Barcelona in the afternoon. Overnight in Barcelona. Group transfer from Lisbon airport to your hotel and return to Barcelona airport when arrival or departure time is between 9am -11am. Professional English speaking tour guide / driver from Lisbon to Granada plus a local English speaking guides in every city along the way. Driver plus English speaking tour guide in Barcelona. 1 luggage + 1 back pack.